Nicole Sharbono is a proud resident of West Volusia for over 10 years. In addition to residing in Deland, Nicole currently serves as the Vice President of Volusia County Services for SMA Healthcare. At SMA Healthcare she is responsible for the oversight of all programmatic operations in Volusia County, a total of over 60 behavioral health treatment programs. She has over 10 years of clinical leadership in behavioral healthcare with an emphasis in the provision of clinical supervision and implementation of evidence based practices. Nicole is passionate about building strong teams that are able to navigate the ever-changing world of healthcare and making an impact on the community in which she lives and works. Originally, from Bogota-Colombia, Monica received her BA in Finance and International Trade from the Universidad Sergio Arboleda. Upon moving to the United States Monica obtained an MBA in Finance from the University of Akron and is currently part of Mainstreet Community Bank of Florida as a Senior Credit Analyst. Monica is currently focused on increasing her awareness of Volusia County by volunteering as a Board Member with the Neighborhood Center of Deland as well as the West Volusia Liaison for SCORE. Monica and her husband, Kenneth Scott Tucker, Jr., brought their two children back to Volusia County in 2012 and reside in Ormond Beach, FL. Mike Vazquez is the Interim Fire Chief for the City of Deland Fire Department and has been employed with the City for 18 years. During his career with the City of Deland, Mike has worked as a line firefighter, company grade officer, and a command level officer; having also served as President of the Union Local for nine years. He served four years in the United States Coast Guard prior to joining the Deland Fire Department. Mike holds various state certifications from the Bureau of Fire Standards and Training and is working to earn his Bachelor of Science in Fire Administration from Columbia Southern University. DeLand’s Community Development Director, Richard Werbiskis, was born and raised in Western Massachusetts. He began his career in government services with the Town of South Hadley as their Conservation Administrator while he competed his Master’s Degree. Upon graduation, he was appointed to the position as Planning Director for the Town of West Springfield from 1990 – 2012. Richard attained certification with the American Institute of Certified Planners in 1995. He was deeply involved with the MA Chapter of APA and MA Association of Planning Directors. Prior to moving to Florida, Richard served the City of League City, Texas as their Assistant Director of Planning and Development. Richard was hired by the City of DeLand in August of 2016. He holds a B.A. from the University of Massachusetts, Amherst in Environmental Science and a Master’s of Regional Planning, also from UMASS Amherst. During his non-working time, Richard enjoys the outdoors while hiking, kayaking and fishing. Tracey Word was born in WV and has lived in Atlanta, Kansas City, Dallas and has been a Floridian since 1999. Tracey is currently the head Shopgirl at Pretty Little Things of DeLand in the heart of downtown DeLand. The shop celebrates its 7 year anniversary this year. She has a 14-year old daughter and a 13-year old son that keep her very busy! Tracey's favorite color is orange; she loves to read, go antiquing and attend music festivals and concerts. She is a huge Elvis fan and has been a Girl Scout Leader for 10 years. Judge “Rick” Roach is a former teacher and counselor with over 30 years of experience teaching teachers a wide variety of graduate courses at seven universities. He previously served as a school board member for Orange County from 1998 to 2014, and was School Board Chair from 2002 to 2003. As the current coordinator for Nova Southeastern University's collaborative with the Sanford Harmony Program, Roach is bringing Social Emotional Learning to schools across Florida. 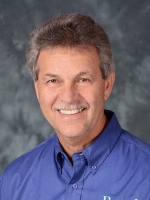 Rick had led - Leadership West Volusia retreats ( previously Leadership Deland) for 30 years and has provided leadership and team building sessions for dozens of businesses throughout Florida. Roach has also led Leadership Winter Park retreats for 25 years.